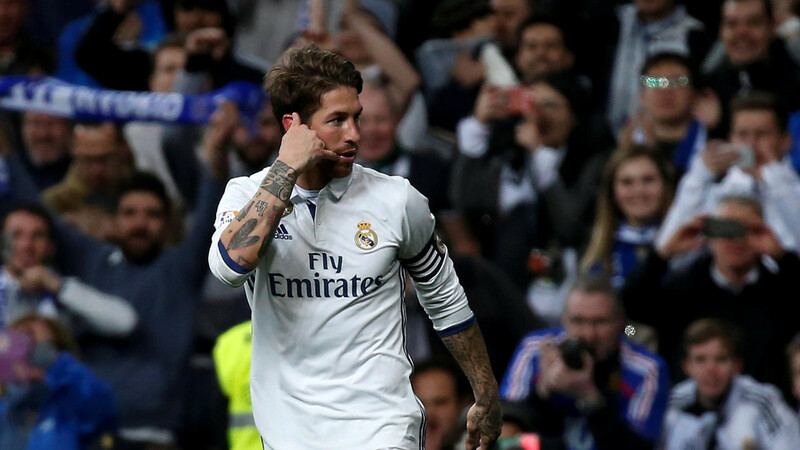 Sergio Ramos' injury to Mohamed Salah in the 2018 UEFA Champion's League final set him up for a world of insults from Egyptian football fans. Real Madrid's Sergio Ramos celebrates after scoring a goal. Image credit Sergio Perez via Reuters. 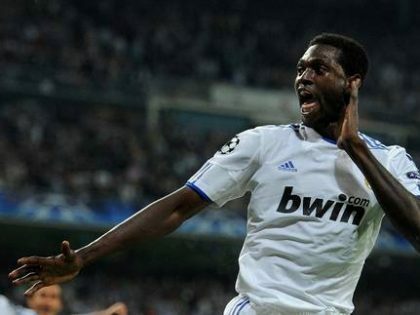 On Saturday Spanish football club, Real Madrid, became European club champions for the third time in a row. It was also its 13th continental championship since 1955 (the most for any club). The game was won through a sublime overhead kick by their Welsh winger, Gareth Bale (rivaling a goal scored by his coach, Zinedine Zidane, in the 2002 final) and the repeated blunders of Liverpool FC’s goalkeeper Loris Karius (Real Madrid scored twice from those). But it was the antics of Madrid defender Sergio Ramos that has dominated online discussion since. Ramos, a four-time European club champion with Madrid, is a fixture at the club. He has been there since 2005 and is at the heart of its defense. He also plays rough. Ramos holds the record for the most red cards in La Liga by a Madrid player: 26. He needles opponents. Ramos is covered in tattoos. He is basically a villain, straight from central casting. On Saturday, Ramos’s job was to mark Mohamed Salah, Liverpool’s Egyptian forward. The contrast couldn’t me more extreme. Salah is everyone’s current favorite. Media adores him. In the West, he is Islam’s “best ambassador.” In a UK that voted for Brexit, Liverpool fans break out in song about converting when he scores. Adam Lallana (some of you have to Google him) came on for Salah. But Liverpool wasn’t the same. They appeared shell shocked. Though they held on till halftime, Karius gifted a goal to Karim Benzema and despite Sadio Mane’s equalizer, Bale’s overhead kick sunk Liverpool. Then Karius gifted Real Madrid a second goal. Madrid were champions. But back to Ramos. It was a cynical foul. He did what he had to do take out Liverpool’s most dangerous player. If you’re a Madridista, you’re happy. He is your Sergio Ramos. Later, he got Sadio Mane booked for no reason, elbowed Karius and wasted time. Most of the post-match banter was about Karius’s blunders. But not if you were Egyptian. Salah is Egypt’s most outstanding player. He is adored. In Egypt’s recent elections (the incumbent won by 97%), twice the number of voters decided to write in Salah’s name than vote for the opposition candidate. Salah’s face is also on Ramadan lanterns. Salah has captured the hearts of virtually all Egyptians regardless of social status or religious affiliation, he has converted the indifferent into fervent football fans, and while it’s impossible to measure how many Egyptians were watching the final, and educated and modest guess would be upwards of 40 million. After Salah went off in tears, Egyptian Twitter lit up. As the game progressed, the top trending hashtags in Egypt included “kulena Liverpool” (we are all Liverpool) “ibn il weskha” (son of dirt/son of a harlot) “Ramos el Kalb” (Ramos the dog) and “ibn il gazma” (son of shoes). The associated posts were rife with profanity and disgust at what a majority viewed as an intentional move by Ramos. Egyptians were beside themselves. But the outcry did not end with the match. Egyptians are not ones to easily let things go. And history shows they know how to harness social media and be resourceful. They began trolling Ramos’ social media pages relentlessly. Thousands of comments, in Arabic, Spanish, English, sometimes all three. Egyptians unified to maximize their impact. In the holy month of Ramadan, Muslims are not allowed to use profanity during their fast—so Christian Egyptians took over cursing Ramos until the evening breaking of fast. And by yesterday afternoon, Egyptians had gotten their hands on Ramos’ personal mobile number. He was harassed so relentlessly on WhatsApp that Al Arabiya reported he was forced to shut it down. (Let’s take a moment to celebrate the excellent photo selection by the Arabic news website for this article). When Ramos took Salah down, it is hard to imagine he had any conception of what was waiting for him at the end of the game. But Egyptians knew. Egyptians love to troll, whether it’s someone local caught doing something embarrassing, or something unjust perpetrated against one of their own. This seems to spring from a deeply-ingrained twisted sense of humor and tendency toward mob mentality, that despite frequent reports that would indicate otherwise, often has a surprising level of restraint and a tendency toward some manifestation of justice (although one must concede, they often go overboard). Social media has provided the perfect vehicle to take this social and cultural tendency to another level. Ramos better hope Salah indeed manages to play in next month’s World Cup in Russia, or there will be many more dark days of unforgiving harassment to come. "Your dad washes elephants, your mother's a whore"